The 20-acre prop­er­ty, lo­cat­ed at 1 Mar­cus Ave. in New Hyde Park, is im­medi­ate­ly north of Northwell’s Long Island Jewish Medical Center’s 48-acre cam­pus. Terms of the deal were not dis­closed. Northwell Health has yet to for­mal­ize plans for how the build­ing will be de­vel­oped. Mon­te­bel­lo, New York-based Sterling Ban­corp agreed to sell the prop­er­ty as part of a broad­er ef­fort to bring to­gether more than 500 employees at Sterling’s re­gion­al of­fice in Jericho. 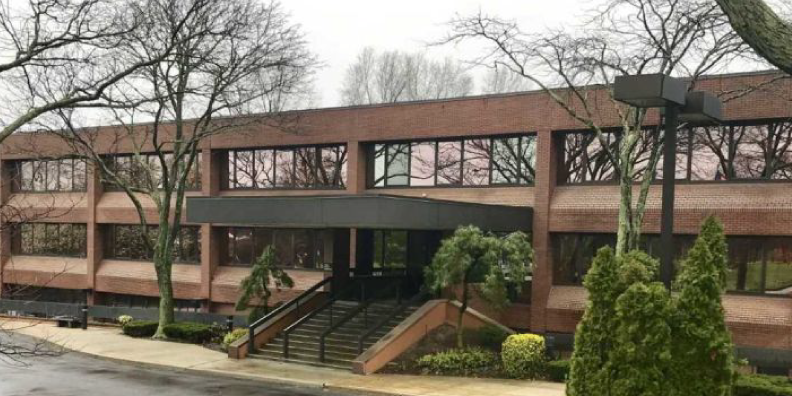 The bank said late last year that it was laying off about 200 Astoria Financial employees on Long Island af­ter it closed the deal. “This trans­ac­tion is aligned with Sterling’s strat­egy to con­sol­i­date lo­ca­tions and re­duce our real es­tate foot­print in ord­er to drive in­creased ef­fi­cien­cies,” Sterling president and CEO Jack Kopnisky said in a state­ment. Blue Sky Real Estate Services rep­re­sent­ed Northwell Health in the acquisition. Sterling was rep­re­sent­ed by Newmark Knight Frank and DLC Management Corp.
Northwell Health is the larg­est pri­vate em­ploy­er in the state with 66,000 employees.